Now a major motion picture, directed by Oliver Stone and starring Joseph Gordon-Levitt. Edward Snowden was a 29-year-old computer genius working for the National Security Agency when he shocked the world by exposing the near-universal mass surveillance programs of the United States government. His whistleblowing has shaken the leaders of nations worldwide, and generated a passionate public debate on the dangers of global monitoring and the threat to individual privacy. In a tour de force of investigative journalism that reads like a spy novel, award-winning Guardian reporter Luke Harding tells Snowden's astonishing story--from the day he left his glamorous girlfriend in Honolulu carrying a hard drive full of secrets, to the weeks of his secret-spilling in Hong Kong, to his battle for asylum and his exile in Moscow. For the first time, Harding brings together the many sources and strands of the story--touching on everything from concerns about domestic spying to the complicity of the tech sector--while also placing us in the room with Edward Snowden himself. The result is a gripping insider narrative--and a necessary and timely account of what is at stake for all of us in the new digital age. "Reads like a le Carré novel crossed with something by Kafka. . . . A fast-paced, almost novelistic narrative. . . . [The book] gives readers . . . a succinct overview of the momentous events of the past year. . . . Leave[s] readers with an acute understanding of the serious issues involved." "[Snowden's] story is one of the most compelling in the history of American espionage. . . . The Snowden Files, by Luke Harding, a correspondent for the Guardian newspaper, which broke the initial Snowden story, is the first to assemble the sequence of events in a single volume. The book captures the drama of Snowden's operation in often-cinematic detail. . . . Harding has delivered a clearly written and captivating account of the Snowden leaks and their aftermath." --The Washington Post "Engaging and lucid. . . . A gripping read. . . . Harding is a gifted writer. . . . The strength of Harding's book is its ability to bring Snowden's story to life while elucidating the contours of a much larger set of issues. . . . In rendering the complicated comprehensible in an entertaining way, Harding's book provides an important public service." 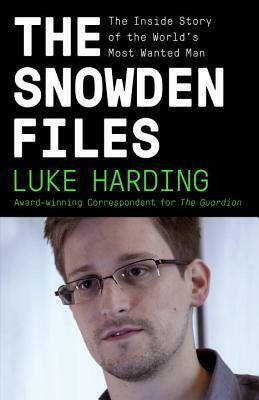 --San Francisco Chronicle "The Snowden Files, the first book on what British journalist Luke Harding calls 'the biggest intelligence leak in history, ' is a readable and thorough account. The narrative is rich in newsroom details, reflecting Harding's inside access as a correspondent for the London-based Guardian newspaper, which broke the story. . . . The writer deserves unqualified praise for fueling the debate on privacy that Snowden so hoped to ignite." --Newsday "A super-readable, thrillerish account of the events surrounding the reporting of the documents. . . . Harding has done an amazing--and speedy--job of assembling material from a wide variety of sources and turning it into an exciting account." --The London Review of Books "The Snowden Files is a one-stop shop, covering his formative years, the government jobs that would eventually give him access, and even the development of the data-gathering programs he exposed to the world. It's as impressive in its execution as it is infuriating to revisit how much government manipulation and duplicity was involved. (Harding does an equally thorough job explaining the role played by the UK's version of the NSA--the GCHQ--and their appallingly thuggish actions as the news stories broke.) . . . Harding is unflinchingly honest. . . . [He] ask[s] hard questions about the consequences of Snowden's actions. While Harding is a Snowden supporter, he's hardly a blind one." --San Francisco Book Review "A newsworthy, must-read book about what prompted Edward Snowden to blow the whistle on his former employer, the National Security Agency, and what likely awaits him for having done so. . . . Whether you view Snowden's act as patriotic or treasonous, this fast-paced, densely detailed book is the narrative of first resort." --Kirkus Reviews (starred) "Engaging. . . . Harding's well-researched and compelling book is highly recommended." --Library Journal "Recounts the incredible story of how Snowden becomes angry about the abuses he says he witnessed inside the system, resolves to pull off a stunning electronic heist by downloading the NSA's and its partners' most sensitive files, and gives them to journalists he has persuaded to meet him in Hong Kong. Harding captures nicely the moment when The Guardian pushes the button on its first Snowden story, an intense, adrenaline-filled cocktail of high-minded journalistic zeal and the sheer thrill of publishing sensitive information."